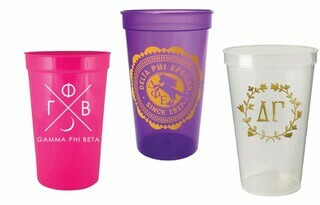 Mixing glasses are great for everyday use because they're easy to drink from and fast to clean. 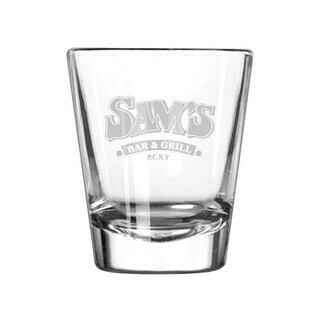 The tapered sides of the glass widen at the top and offer easy access for cleaning, mixing or sipping. 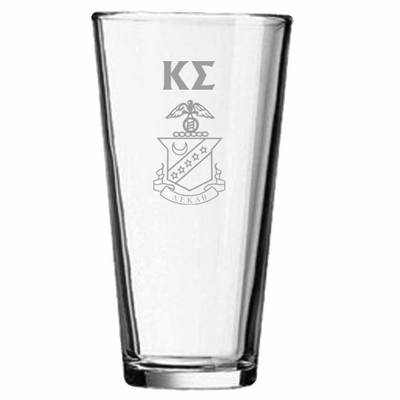 The Engraved Mixing Glass from Greek Gear goes beyond your basic beverage-holding needs and allows you to quench your thirst in style. 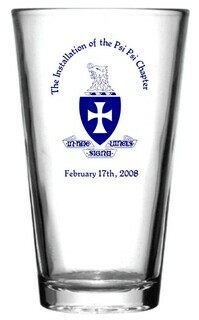 The glasses are engraved on one side with a custom design that shows off your Greek pride. Two additional lines of text can be added to commemorate a special occasion and date. To get started, just click on the blue "Customize This Product" button. Our online design program is easy to use and comes pre-loaded with dozens of Greek initials, clip art images, and Greek crests. Mix and match components to create a glass design that's right for your needs. 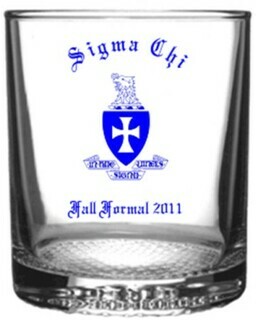 There are no minimums so you can buy one as a gift, four as a personal set, or 100 for the entire chapter!